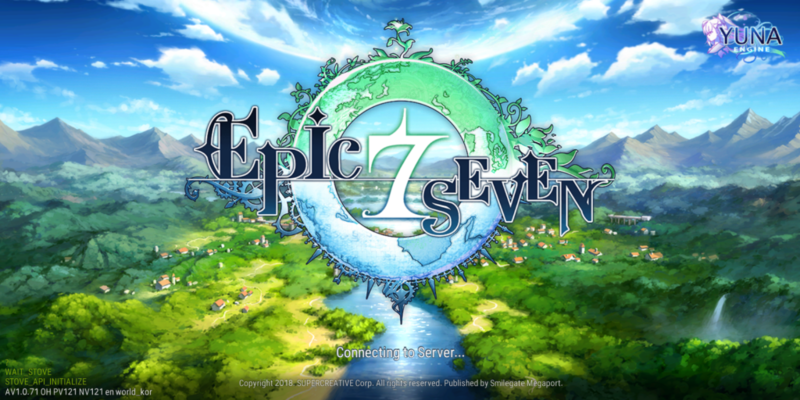 Welcome everyone, to the Epic Seven Tips and Tricks Guide. This guide is designed to help you understand the basic mechanics of the game and further your overall experience. 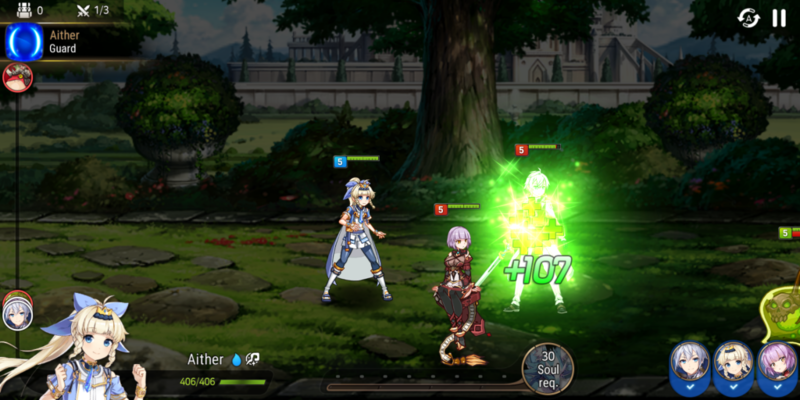 Epic Seven is an Anime style RPG with a side-scroller turn-based combat system. It’s also a Gatcha game where you collect different Heroes to strengthen and use in your party. It’s a very cinematic game, especially in the opening minutes. 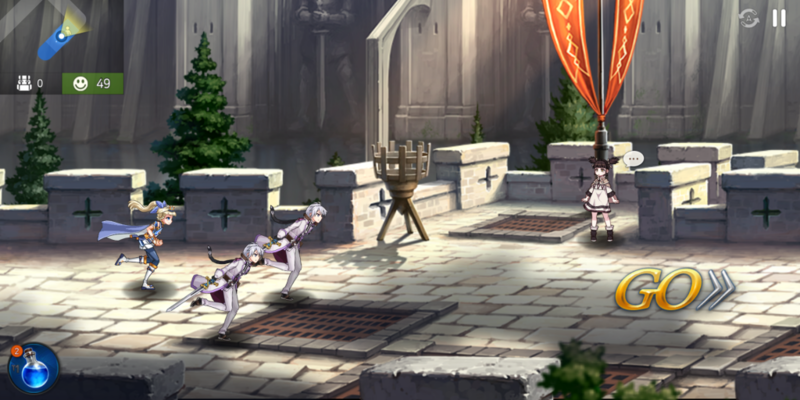 In the tutorial, there are several scenes that are fully animated and give a great visual experience. The tutorial itself is pretty standard and explains all the basics you’ll need to know. There isn’t much difficulty in terms of the mechanics of the game so most anyone can pick up and play. The game screen starts as a side view where you can move your character to the right by holding the right of the screen. Movement is simple and not much to it other than that. As you proceed through the screen you’ll run into enemy mobs. This is when battles happen and it turns into a more traditional turn-based style game. Each Hero has their own set of attacks and abilities in the bottom right-hand corner. And when you tap a monster they will attack with whichever ability you select for them. Your heroes take turns attacking then it goes to the enemies turn to attack. As you battle you will collect Souls from enemies. Having enough allows you to use the “Burn” mechanic. Which essentially powers up your attacks and lets you deal more damage to enemies. Further, in the tutorial, it introduces the Guardians. They are special additions to the Soul meter and increase your parties Combo damage. The combat mechanics are very easy to get down and lack a real complexity that some other turn-based games have. But the way it utilizes the Burn mechanic and the gatcha system with building your party with several heroes makes it a great collection game. 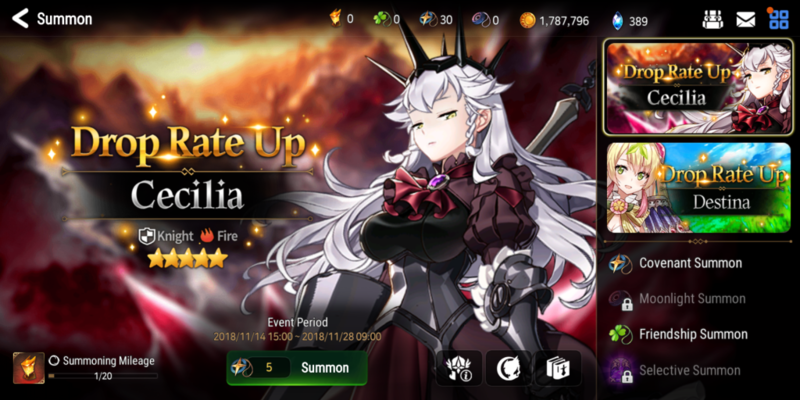 Like most Gatcha games you collect heroes by getting them from Summons. By using the in-game currency you can buy summons to get a random hero. You can use real money to buy the currency or get small amounts by playing the game and completing certain objectives. There are daily missions and things of that nature that can help with this. The best way is just playing through the story of the game. There are a lot of missions to go through and the further you get the more chances you have to get crystals. When you get a handful of Heroes you can fill out your party to its limit and start working on things like team composition and party enhancement. There is a big emphasis on party management in this game so it plays a big role. When it comes to managing your characters the main factors are party management and skill enhancements. Each individual hero has their own screen where you can equip items, enhance them, or view their Speciality. It’s always a good idea to keep your characters well equipped and enhance them whenever you’re able. 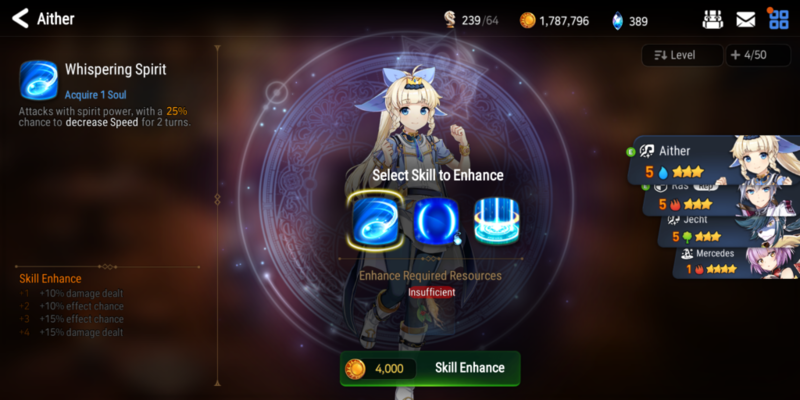 Both heroes and Skills require resources to enhance them. 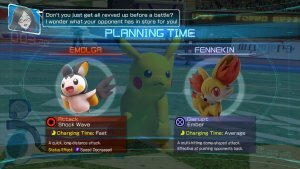 Enhancing your character will increase their overall stats. 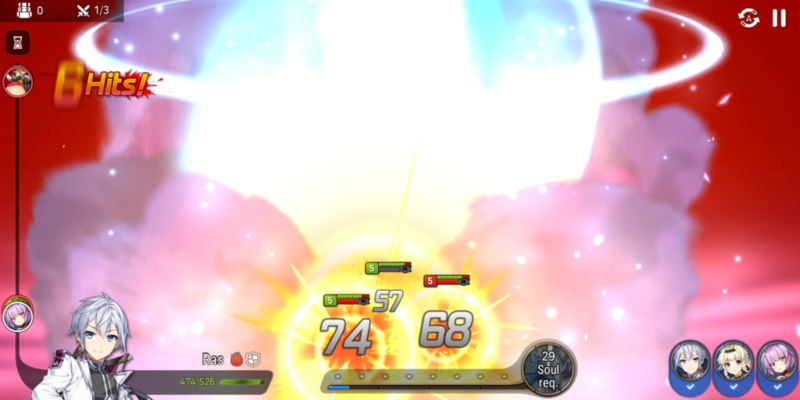 While enhancing skills increases their effectiveness, damage, and sometimes bonus effects. There are dozens of heroes in the game and each one of them is different and require different attention depending on their function. So when building your party always be sure to have good team comp. When it comes to the battle system the best tip I can give is conserving your souls. The Burn mechanic is extremely helpful against stronger enemies and bosses. There are blue shrines in some levels that give you Souls when you tap them. Utilize these every time you come across them. The more souls you have the more times you can use the Burn mechanic. It also affects your Guardian and that’s another helpful addition to the party. Speaking of party, another tip is the composition of your team. In the early game, the setup you have is no essential factor. But later on, it becomes important due to the difficulty jump. You want a team that has variety and not full of heroes with the same purpose. You need a mix of heroes with attack capabilities but also with some support. Any hero with a healing skill is good to have in your party, at least one healer per party is a good mindset to have. And a closing tip, save your crystals for summons until you’re further in the Quests. Early game there is no real need to burn out your currency by trying to get the best or strongest characters. Focus on the ones you have in the beginning so they are strong themselves and can carry you. Then once you’re a decent way in you should have a small stockpile of Crystals. That’s when you should use them for summons. Get the new characters and start grinding them to higher levels as you’ve done with your current ones.